Foamy urine is most often a sign of protein in the urine. The kidneys filter the blood. Their job is to get rid of what we do not need and return what we do need to the blood stream. Protein should be returned to the blood. If you have foamy urine there is a good chance that you have some kind of kidney disease. Foamy urine on a regular basis should be brought to the attention of your doctor. Foamy urine can sometimes be the result of dehydration or even emptying the bladder very quickly. 1. Dehydration. People who are dehydrated will have an ammonia urine odor that is stronger than they usually notice. 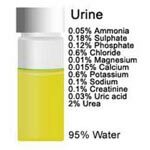 Urine is a liquid waste product of the body’s metabolic processes composed mainly of water, soluble organic compounds and toxins. 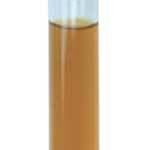 Urine of a healthy person ranges in color from clear to dark amber and has a very mild ammonia scent. If an individual is not consuming enough liquids, he can develop dark yellow urine with a much stronger ammonia odor to it. 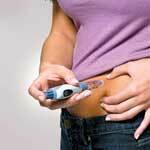 A variety of foods and medications we ingest can affect the appearance and smell of the urine. Dark Yellow Urine – What Are the Reasons? Normal human urine color varies from person to person ranging from almost clear to dark amber tint. The color of the urine is affected by a pigment called urochrome. Urine odor and color depends not only on the foods and beverages we consume throughout the day but on the medications we take and underlying medical conditions. Dark yellow urine can have multiple causes in nature both harmless and serious. Dehydration is one of the most common causes of cloudy urine symptoms. When your body does not have adequate amounts of water, your urine may become dark and cloudy.